This week, The New York Times published a comprehensive investigation into deplorable animal treatment at the U.S. Department of Agriculture's Meat Animal Research Center (USMARC), a sprawling complex of laboratories in Nebraska with the overarching mission to help meat producers make more money. There, according to the Times' exposé, newborn piglets are accidentally crushed to death by their mothers, who have been scientifically bred to give birth to unnaturally large litters. Weakened and deformed calves are born to cows "retooled" to have twins and triplets when they usually bear only one calf at a time. And lambs born in open fields were left to die excruciating deaths during an experiment to see if their mothers, normally dependent on human help, would nurture their babies despite severe weather and predators. This barbaric animal "experimentation" is not only cruel, but wildly out of step with modern sensibilities and ethical standards. It's even more appalling that such activities - conducted with the goal of helping a private-sector industry turn a higher profit - are subsidized by U.S. taxpayers. You'd think we'd have laws protecting animals from such abject abuse. But farm animals, both in agricultural research and in on-farm production, are indefensibly excluded from the Animal Welfare Act, which sets standards for other kinds of animal research. The problem doesn't stop there. This research feeds a larger agricultural system that treats animals like widgets - constantly striving to produce more, bigger, faster - with little regard for their pain. According to The Times, most of the research at USMARC is being done to help beef, pork, and lamb producers make up for an increased consumer interest in alternatives, like poultry. But widespread cruelty and genetic manipulation to speed the process are also rampant in chicken production. Most chickens raised for eating are bred to grow so huge, so fast, that they can barely stand up. Many collapse under their own weight and spend much of their lives lying in their own waste, with open sores and wounds. That's why the ASPCA is actively involved in improving those conditions. It doesn't have to be this way. More humane alternatives are available, and consumers are demanding better. If we are to live up to the ideal of a humane society, Congress must close the legal loopholes that allow such abject suffering, consumers must vote with their wallets, and the animal agri-business industry must respond. Please take action. 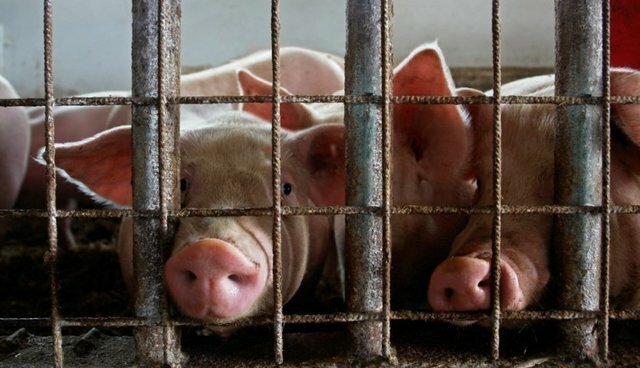 Tell Secretary of Agriculture Tom Vilsack to halt all research at the U.S. Meat Animal Research Center and conduct an immediate investigation into the atrocities committed there.